A large part of what is fished does not reach port. The proportion that is wasted may be ten times greater than the amount stored in the holds. For example, for each kilogram of shrimps, up to 10 kilograms of other animals, that do not survive, are wasted. Incomplete fishing statistics mean that an accurate assessment of the impact is not possible, despite its undeniable practical and ethical importance. Some seabirds and marine mammals eat the fishing discards. 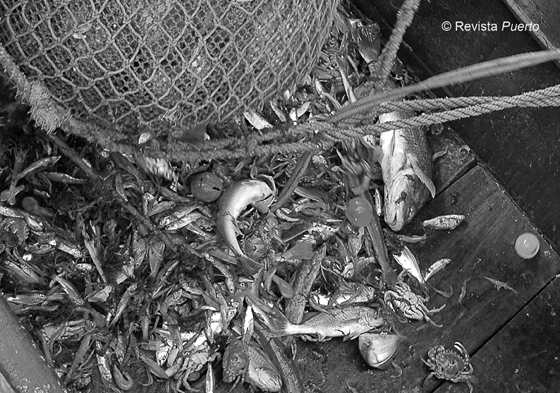 The discards act as a food “subsidy” for the species that consume it, and thus may cause considerable demographic instability in their populations. 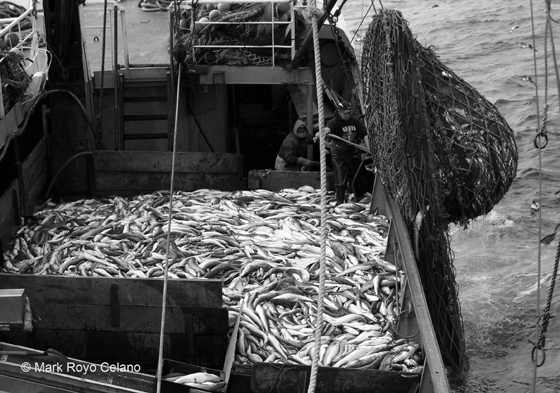 The fishing industry is the extraction activity with the greatest impact on the biodiversity of the Patagonian Sea. Overfishing has had a detrimental effect on the populations of many fishes and invertebrates. For instance, adult biomass of Argentine hake fell by 70% in the period 1987-2006. The declared landings of this species between 1993 and 2004 were well beyond the maximum allowable catch. The ocean provides sustenance for the populations of seabirds and marine mammals that breed on the coast, thus appropriate ecosystem-based fisheries management is essential for the viability of these populations. 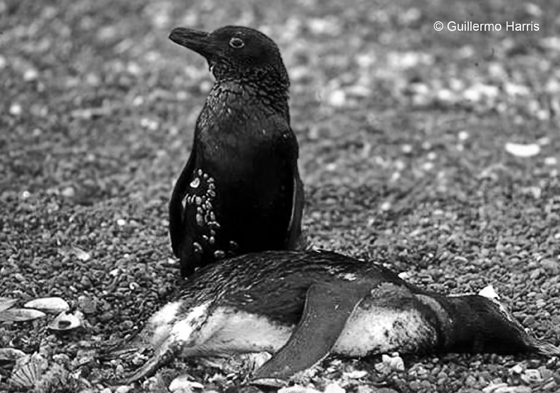 Every year thousands of seabirds, marine mammals and turtles die in commercial fishing operations in the Patagonian Sea. Longline fisheries (using baited hooks) are largely responsible for the reduction in many albatross populations. Most species of albatrosses and all marine turtles in the world are threatened with extinction. 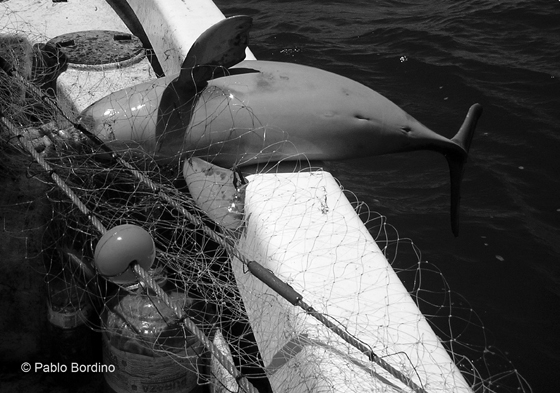 Incidental bycatch and ghost fishing (drifting nets) are major threats to these groups. Oil-based hydrocarbons pollute the sea and the coastlines. 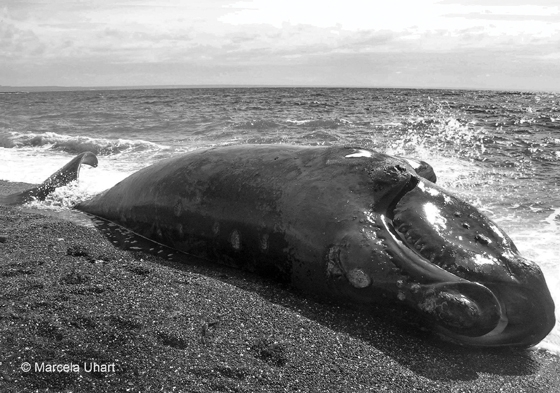 Spills at sea are not reported and are usually detected only as a result of the impact they have on some species. The Magellanic Penguin is one of the most affected birds. Some areas also reflect the effect of discarding millions of tons of non-degradable waste into the ocean. Littering the ocean is a problem that has received little attention. Some animals eat floating plastic and die. The aesthetic impact that polluted beach has reduces its value for ecotourism. This threat to the life of many seabirds, turtles and marine mammals is a consequence of the interaction with fishing vessels and drifting fishing waste. 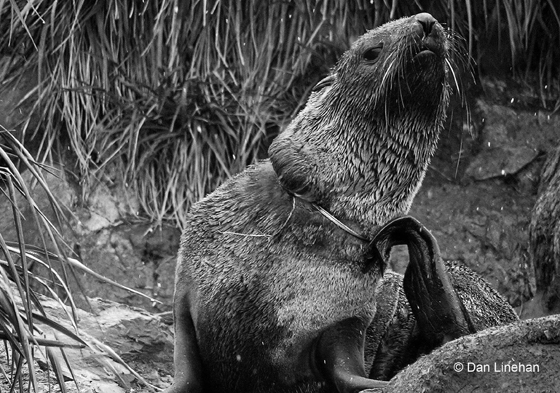 South American Sea Lions and fur seals, Southern Elephant Seals and even Southern Right Whales have been recorded entangled in fishing gear. It is more and more common to observe Southern Elephant Seals with a monofilament fishing line used by squid fishing vessels around their necks. This problem encompasses the most serious threat to biological diversity. 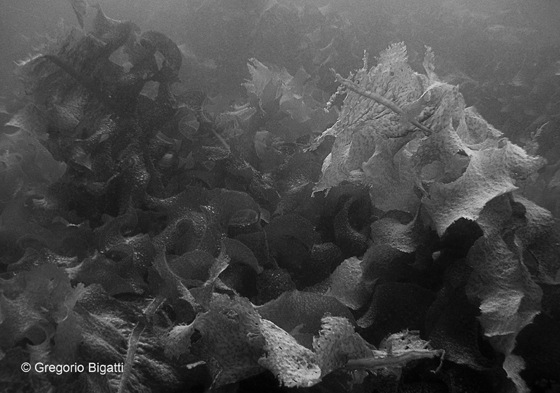 In the Patagonian Sea, at least 41 non-native species have been recorded, especially invertebrates and algae. It is suspected that additional 50 species could soon join the list. Wildlife faces a growing risk of contracting diseases related to human activity. The ingestion of garbage has serious consequences for turtles and seabirds, such as the Southern Giant Petrel. But the Magellanic Penguin is the species that is subject to the greatest numbers of infectious diseases and the one that suffers the highest number of mass death events.